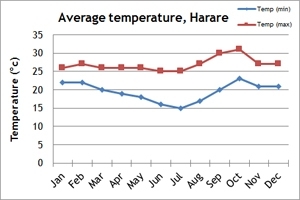 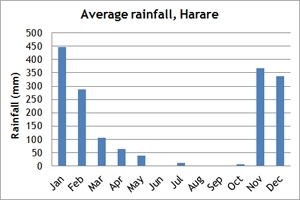 The best time to visit Zimbabwe is during its dry season, which falls between late April and mid-November; days are more likely to be clear, with less amounts of rainfall. 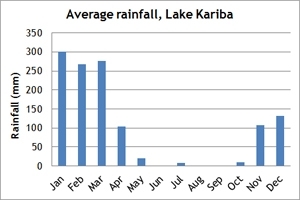 Although the weather in October and November can be very hot and dry, you are rewarded with fantastic wildlife sightings in Mana Pools National Park as many of the animals are drawn to the Zambezi floodplains in search of water. 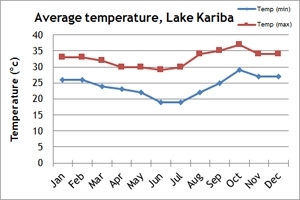 Lake Kariba is also best visited during these months as it will be slightly cooler during the day, with less amounts of rainfall, making it easier to explore the lake and its surroundings.